By Hadi Waqas in Web Design. Updated on August 3, 2018 . The core reason to be a freelancer is that one does not have to commit to full working hours that will destroy the joy of working and possibly putting personal life at stake. As a freelancer you can decide your own working hours and show up to work in your pajamas. You don’t have to endure the colleague who yells into the phone or to be paranoid that your boss will catch you reading gossip blogs. 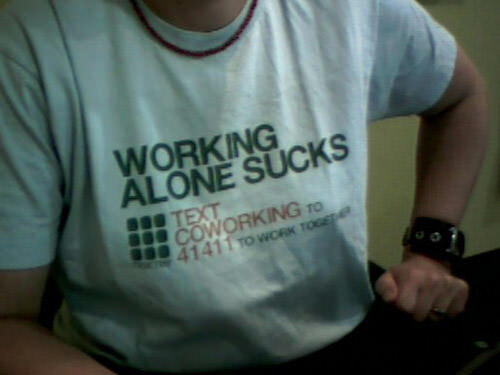 However freelancing can be a lonely existence. You might find yourself not leaving the house for days and stalking everyone in your chat list just to feel humane. This is when co-working comes into play. Co-working is essentially the best of both worlds. This concept consists of you renting a work space for a period of time at an office where other people do the same. You and other co-workers are not employed by the same company, working on different projects yet you work side by side with the others creating an ideal working environment. You still get to punch in and out as you please and you are not under the watchful eye of your boss but in the very same time, you get a change of environment and engage in watercooler talk. You may spare your friends in your chat list now. You don’t want to end up like Jack in "The Shining" – Jack Nicholson’s novelist character holed himself up in a remote haunted hotel to focus on writing, and he eventually went haywire, churning out "All work and no play makes Jack a dull boy," over and over. Co-working allows you to get out of the house and soak in the world from perspective other than your four walls. You might discover different phenomenon just by stepping away from your familiar surroundings. And those co-workers of yours can make excellent guinea pigs to try out your ideas before turning them in to clients. Co-workers come from all different fields. That person at the desk next to you could be a potential new client or to provide a lead. Always bring your business cards and chat up the co-workers who filtered in and out. Freelancers can benefits by having each other’s back. Some people – no matter how good they are at their job – just weren’t cut out for working from home full time. Whether it’s a leaf blower outside, a demanding puppy or Oprah on the television, distractions can destroy your aim at meeting a deadline. Remember your 9-to-5 days? You tackled your tasks so you could get out of the office and head home. Therefore by going to a co-working space, it can provide the atmosphere you need to buckle down. Co-working is not the same from space to space. In fact, co-working doesn’t solely take place in office spaces – sometimes people co-work at cafes providing a refreshing environment to work. Want a Co-working space yes? 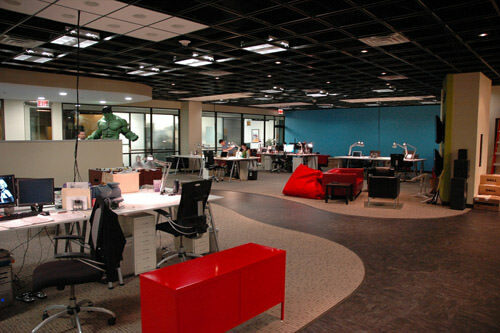 An excellent resource for learning more about this topic is the Coworking wiki. From there you can shop for co-working spaces in your area, read and contribute to a blog as well as learn how to start your own co-working space. It is utmost important to have all the co-workers discuss and finalize what and where is the comfortable meeting point or a co-working space will not work out. Can I make phone calls or is talking discourage? Is the noise level too much or too little for my comfort? Is the co working space open for 24 hours, or does it have fix operating hours? 2. Can I get a tax write-off for renting a co-working space? It is possible as long as it is done right and fulfill all the criteria for a write-off tax requirement. Better if the one consult an accountant. A co-working space were to take place at different location every time without a fix location, then it is impossible to have a tax write-off. Phone bills may be possible however it must be prove that phone were use for business. For a freelancer it might be a challenge. A a co-working space were to take place on a fix location, in a building then it is considered as an office. Write-off is definitely possible for things like phone bills, office rental and numbers of computers expenditure. Needless to say this is the downside of fixed co-working space. Face it, you are not in your house and that cost money therefore freelancer must take the cost into account and decide which type of co-working space offered is affordable. Co-working is a concept specifically constructed for freelancers and it is now an urban practice given more and more people prefer freelancer’s way of life. It sets a freedom for a labourer when and where to work but with limitation. This benefits employers because humans tends to deliver better quality of work when they are happy.